We all know how it goes. Each year you tell yourself you will be super organised at Christmas. You will get presents in advance, order beautiful hand-made decorations online and set aside at least two days to prepare the house. But then comes Christmas Eve and as you do a mad-dash around the shops you realise that yet again all you have ready is the tree. Never fear, here are some quick and easy decor ideas to spruce up your home into a winter wonderland. 1) You probably have a lot of ribbon lying around for your present wrapping so why stop there. 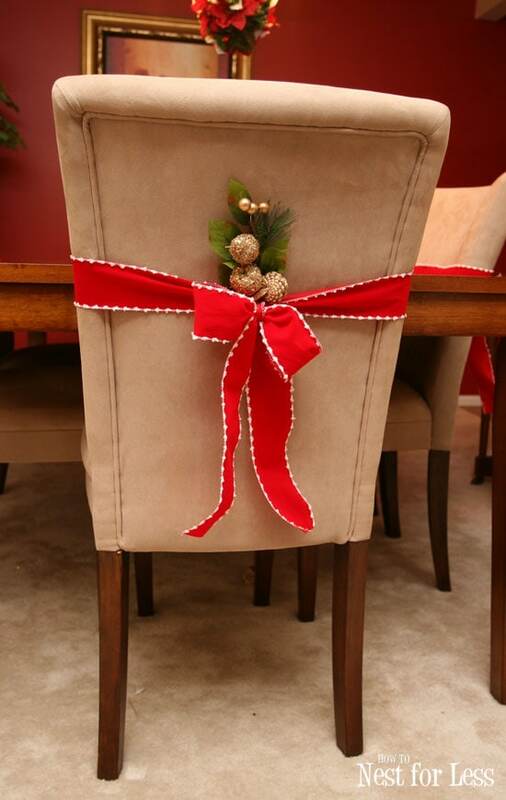 A simple red, green or gold bow around cushions and chairs will instantly lift the room with Christmas cheer. 2) For a rustic table centrepiece why not decorate with items such as mandarins, acorns, pine cones, twigs, holly and green leaves. 3) Create goodie bags for guests when they leave. Why should kids have all the fun? Can be as simple as candy cane with a bit of leftover Christmas cake and will leave a lasting impression. 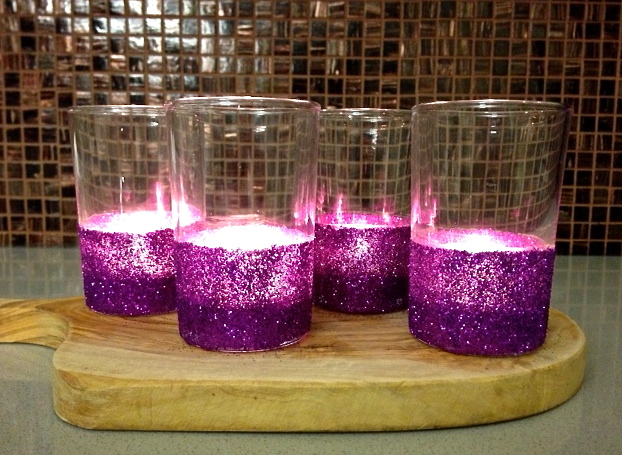 4) Brighten up inexpensive glass candle holders or jars by adding some glue and dipping them in glitter. 5) If you’re feeling a bit adventurous and want to get a bit arty, this DIY ribbon star looks impressive but is relatively easy to make. You just need a piece of wood or a surface you don’t mind putting some nails into, then weave the ribbon around the nails. 6) Showcase your desserts. Don’t hide away your Christmas cakes and chocolates until you need them, set up a dessert table in full view to create an atmosphere of mouth-watering anticipation. 7) Begin outside, whether it’s a wreath on your front door or lights on the trees in your garden. Make your entry way as inviting as you can.